Peter Foucault drawing installation in LAST Festival at the Lab! 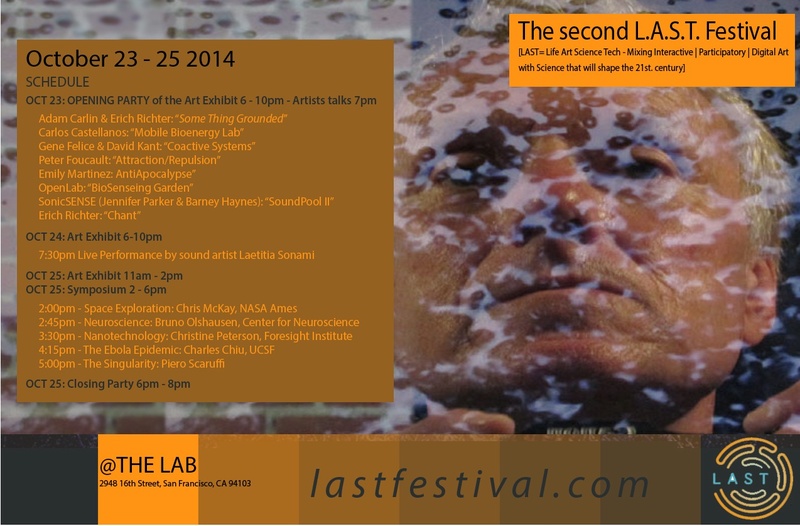 I invite you to stop by the Lab in SF and check out the LAST Festival on Oct. 23-25th. This event was developed by Leonardo and curated by Lily Alexander, featuring interactive and new media works. I will have the latest iteration of my robotic drawing installation Attraction/Repulsion:Redux. The second LAST festival (LAST=Life Art Science Tech) will take place in San Francisco on Oct 23-25th during the city-wide Bay Area Science Festival. Ebola, Nanotech, Singularity, Space Exploration – see below). > Saturday from 2pm till 6pm: the Symposium! Free and open to everybody. 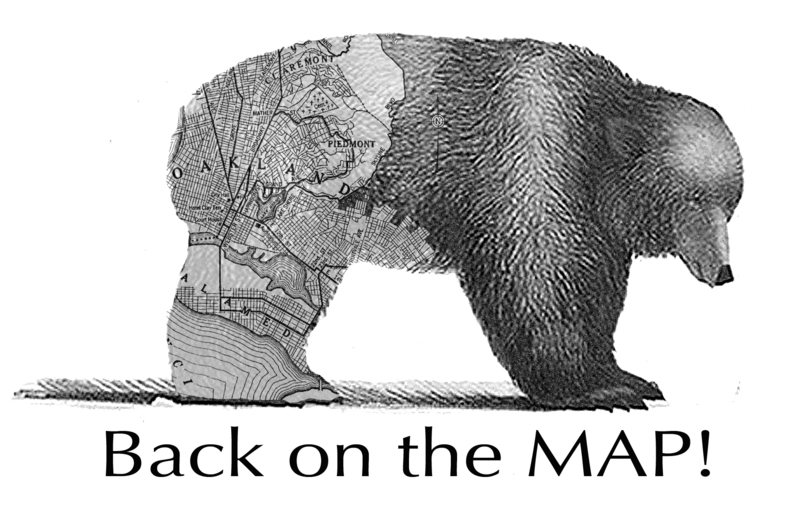 Please join us at the Oakland Zoo on Saturday Oct. 18th from 10am – 3pm for a free pop-up interactive screen printing project. Hope to see you there!